Home Smiley: Why Should You Use Custom Light Fixtures? 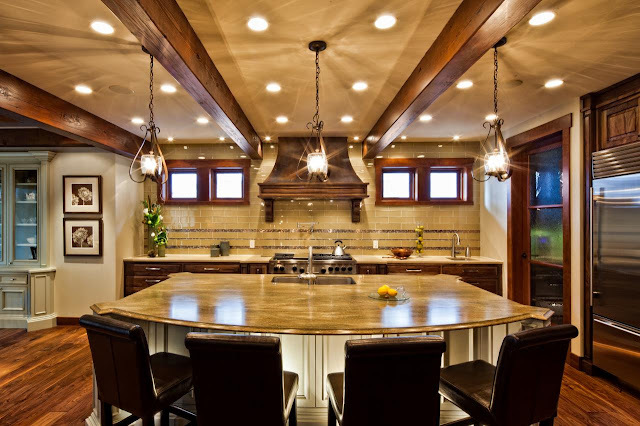 Why Should You Use Custom Light Fixtures? Custom light fixtures are any type of lighting that was created specifically for a certain space. It’s not available commercially and most of the time the creator never makes another lighting system exactly like it. In some ways, custom light fixtures are a type of art. This is especially true where the lights are arranged in a random pattern or along the walls, around a sculpture, or in any other fashion that’s unusual. There are a number of reasons why you might want to make use of a custom light fixture in your restaurant, bar, or other business. 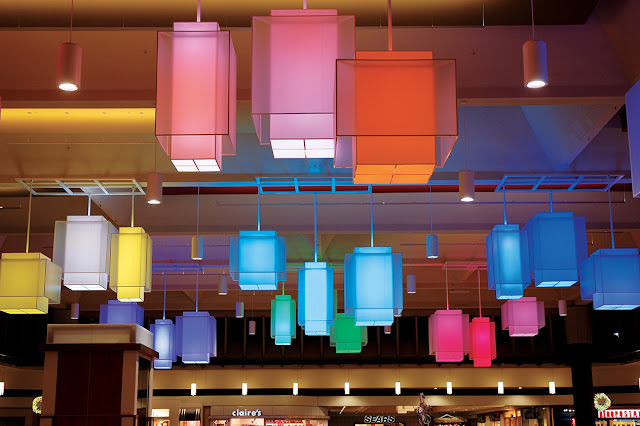 If you want your business or office space to be truly unique, you need one of these custom light fixtures. It will truly be one of a kind and you will know that even if another one is made, it won’t be identical because no other space will be exactly the same as the one you have. This is one of the easiest ways of making your area unique. Few people will remember if you have a unique piece of art on the wall or other type of décor, but they may remember a huge light fixture that spreads across the ceiling like a spiderweb or a giant lighted tree. Few things will grab someone’s attention like a large custom lighting installation. Your lighting doesn’t even have to resemble artwork or be that different. In many cases, simply having a series of light fixtures that don’t look like normal lights is all it takes. You can have dozens of small little lights across your ceiling or a few really large light fixtures located in specific areas of the room. Both are different so both will grab attention. You can use these unique light fixtures to really call attention to certain parts of your space. Having a lighted section of wall behind your bar, for example, will grab and direct your patrons’ attention to that area. 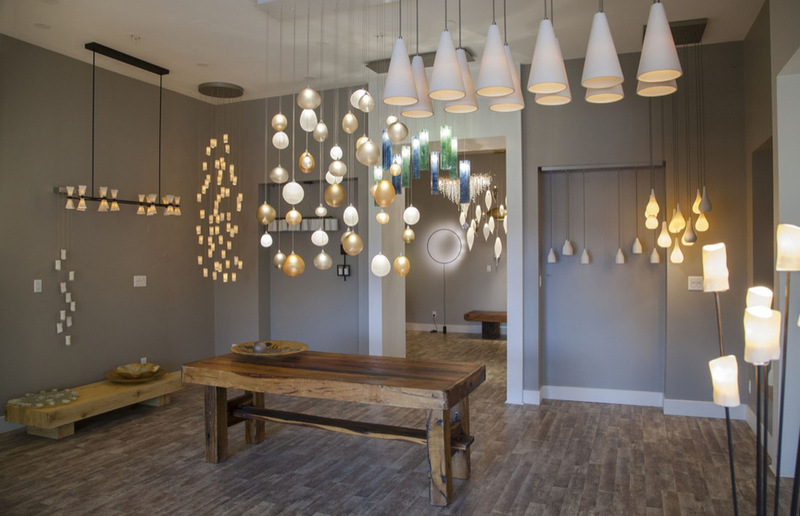 You could also have a large cluster of lights above your reception area to help draw people to that part of the space. Custom light fixtures can help direct your customers to where they need to go without any signage or anyone saying a word. 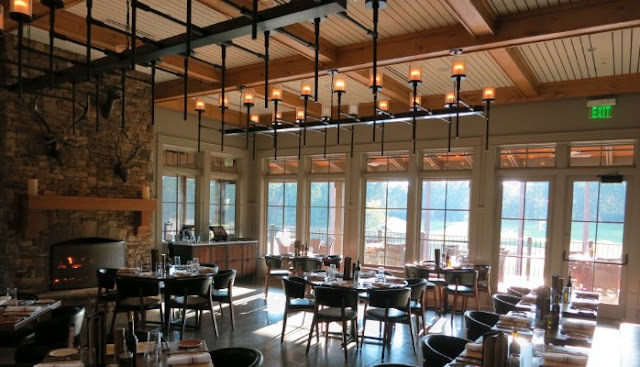 Your unique lighting can be used to not only create brightly-lit areas but also darker spaces that are perfect for romantic restaurants or clubs. Sometimes, areas that aren’t well lit are just as important, if not more so, than those positioned under bright lights. These shadowy spaces can help create contrast so that the brighter areas stand out much more or they can be designed to be the main draw. It all depends on how the custom fixtures and lighting are installed and arranged. Some custom installations even feature movable lights that can be redirected to other parts of the space to allow you to transform it as needed.